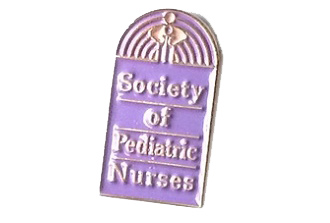 Since 1990, the Society of Pediatric Nurses has maintained its core values: commitment, integrity, leadership, and excellence. In 2005, the Ohio Chapter of the SPN was founded. The OSPN aims to be the premier resource for Ohio nurses caring for children and their families. To join the OSPN, you must first join the Society of Pediatric Nurses. From here, update your membership and join a chapter. The OSPN hosts many events throughout the year, many of which offer CEUs! Visit our Facebook, Instagram, or LinkedIn pages by clicking the links below. The OSPN provides research grants to one SPN/OSPN member annually for the purpose of conducting research related to children and their families. All studies ranging from pilot studies to large, multi-site studies will be considered. Winners will be announced at the OSPN Fall Conference in September. Have a question not answered on our other site pages? Visit our Contact page to find contact information for all of our board members. Or, fill out our form and we’ll get back to you ASAP. February Pediatric Nurses' Night Out - Limited Seats Available! Registration is now open for our Feburary Nurses’ Night Out in Akron. The topic is Personal Safety. Don’t miss it! Thank you to all who attended the OSPN 2018 Fall Conference. It was a beautiful day filled with great presentations, basket raffle, door prize and fun. A special thank you to our keynote speakers Dr. Brandon Kozar and Ms. Judy Doyle! You can view more pictures from the conference on our Gallery page. To join the OSPN, you must first be a member of the National Society of Pediatric Nurses. Update your membership and join a chapter. Want to join the OSPN? Thank you for visiting the Ohio Society of Pediatric Nurses, © 2005-2019.